Dr Balganesh was Vice President (Discovery) and Executive Director at Astra Zeneca in Bangalore, India, before he became a Distinguished Scientist at the Open Source Drug Discovery programme of the Indian CSIR (Council of Scientific and Industrial Research). He trained as a medical microbiologist with his PhD on Vibrio cholerae genetics relevant to drug resistance. He carried out post-doctoral work on the genetics of Gram- positive bacteria at the Brookhaven National Laboratories, New York, USA and at the Max Planck Institute for Molecular Genetics, West Berlin, Germany. He joined Astra Research Center in Bangalore, India in 1987 and was responsible for the diarrhoeal diseases group until 1989. Between 1989 and 1995, he directed the Broad-spectrum Antibacterial Research Programme and, in 1996, was made responsible for Pre-clinical R & D. Dr Balganesh took over as Head of Research at AstraZeneca India in 2000. AstraZeneca India was given a fresh mandate of ‘developing novel drugs for the treatment of tuberculosis’ in August 2000. Since 2001, Dr Balganesh has been leading the research activities focused on delivering new molecules for the treatment of tuberculosis. Dr Balganesh has also led the AZI research team of The European Commission’s FP6 and FP7 projects NM4TB and MM4TB. He was a member of the Steering Committee of the New Medicines for Tuberculosis (NM4TB) project, and then a member of the Executive Board of More Medicines for Tuberculosis (MM4TB) until November 2011 when he joined the project’s Advisory Board. 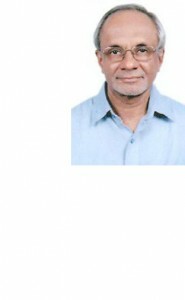 He is also member of several Government of India research committees and institute review panels.